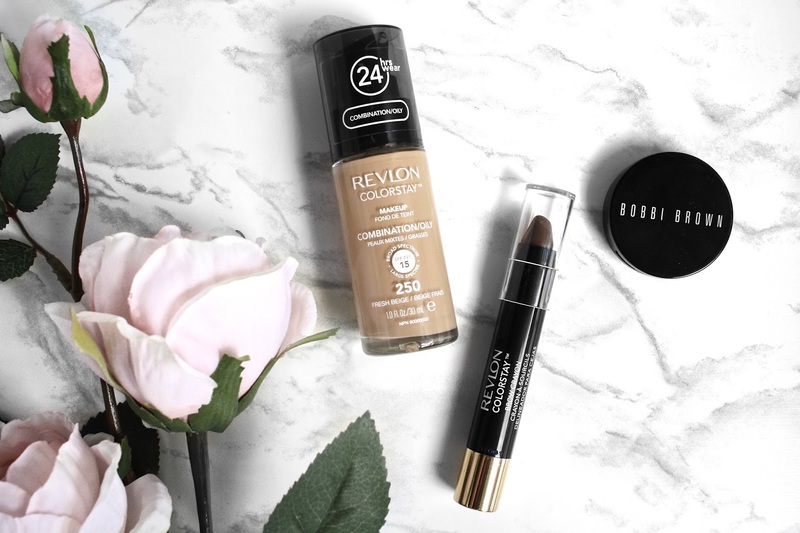 Revlon ColorStay Foundation* | After doing my Revlon haul a few weeks ago, a ton of people were saying how much they loved this foundation, so I was excited to try it out. In terms of coverage, I found this to be a good medium/close to full. With that said, it didn't at all feel heavy on the skin and I felt like my skin could still breath through the foundation even with the fantastic coverage it had. I didn't find the formula to be too thick, so it was really easy to blend into the skin. In terms of wear, I wouldn't recommend this if you're going to be out for a long period of time as I did find the foundation to wear off after around 6 hours. It would start separating in certain areas and for some reason, I'd appear a tad oily after some time, which is weird because my skin is normally not. Overall, I think this is a good foundation for when you expect to be out for a shorter time. Revlon Colorstay Brow Crayon* | Brows are my favourite thing about makeup, so when I get the chance to try out new eyebrow products, I'm super excited and have high expectations. Unfortunately, this brow crayon fell way under my expectations. This did pretty much nothing for my brows, but give me a bad brow day. The Brow Crayon is in the shade Dark Brown, but in all honesty, it might as well have been the shade Invisible as there was no colour coming off on my brows at all. Besides that, it left a weird texture on my brows so it was a b*tch to go over and try to fix it with my trusty ABH Dip Brow. Bobbi Brown Bronzing Powder | Now let's move onto the positive side of the review.. This has been the contour powder I've been using pretty much all month. This is such a perfect shade for contouring. The formula is smooth, so it doesn't at all look patchy or muddy when applied. Even though it's a deluxe sample size, I actually really appreciate it because it takes up only a bit of space in my travel makeup bag. Also a plus, despite me using it pretty much every day for a month, it doesn't even look like I made a dent in it. For sure will be repurchasing it in full size once I finish it up! What products impressed (or disappointed) you this month?